DOES CALIBISHIE COVE SERVE FOOD? Do you have a restaurant on-site? How close are local restaurants? Can we get groceries and cook? You have several choices. We offer a gourmet chef service where meals are served to you on your balcony (weather permitting – otherwise in your room). Fresh fish, chicken, lobster (if our diver is finding them that week), vegetarian, and other fresh-caught choices are available. There is a lovely beach bar within 10-15 minutes walking distance – Escape – which also serves gourmet food. And, a few minutes’ drive into town will give you a few more good Dominica dining options. We do offer a full dinner menu, bagged lunches to take on the road, and breakfast is included in your room rate. Please keep in mind that the selection of foods available in grocery stores is limited to basic staples, and a fairly good selection of beverages. Unless in the capital, fruit, vegetables, and fresh bread will often be bought from roving vendors and will not often be available in grocery stores. For true relaxation, consider ordering in-room chef service or eating out. How close are we to the beach? Are there other beaches in the area? The beach is a three-to-five minute walk down a trail and few natural ‘stairs’, and is safe for swimming as long as the wind isn’t extreme. A gentle river opens into the ocean at this spot on the beach, creating a nice second swimming option ideal for small children or for sitting in the cool water and enjoying a drink. There are several other beautiful, uncrowded beaches within a 8-15 minute drive. What are the room rates and availability for ____ dates? Our room rates and availability are clearly displayed on our website, to make your trip-planning easy. When a date is marked as occupied, it means that overnight is occupied. Yes, for two people it is included in the rate. What rooms are best for a family with kids? 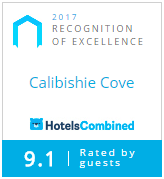 Calibishie Cove’s Paradise Penthouse is our largest suite, and has a double futon near its queen-size bed. It also has a full kitchen and dining room within it’s open-plan configuration. It is not ideal for crawlers or those just learning to walk. For more privacy, or older children, we recommend (any) two separate rooms. Our Sea View and Garden Sea View Room can be connected with a private corridor (if you wish) and they include a futon that can accomodate children. Do we recommend renting a car for your trip to Dominica? Who from? How much does it cost to rent a car in Dominica? We strongly recommend you rent a small 4WD vehicle for your trip to largely-rural Dominica. It’s beautiful waterfalls, beaches, and cultural sights are spread out, as are restaurant options if you decide to go off-site for dinner. We recommend renting a car from Happy Car Rentals – you can email owner Jenner Robinson directly at happycarrentals@gmail.com to make your reservation, and your vehicle will be waiting for you at the airport. How much is it to hire a driver? If you hire a driver to drive you in your rental car and you pay for gas, the cost will be $50 – $80 depending on the length of the day. To drive you in their car, it will cost between $100 and $250 per day, depending on how far you drive. How long does it take to drive to Roseau? Portsmouth? the airport? 1 hour and 15 minutes to Roseau (the capital), 25 minutes to Portsmouth, 15-20 to Douglas Charles Airport. Calibishie Cove is among the most comfortable accomodations for visiting friends or family at Ross University in Portsmouth. We are happy to pick you up from the airport, if you are not renting a car, for a minimal cost. As of January, 2013, the government sets the rate at $35 USD. However, we strongly recommend you rent a car to get the most out of your vacation to Dominica. Who do you recommend for tours? Can you arrange them? We can arrange a wide variety of private tours within Dominica, from the serene to the most challenging adventures found on island. Our tour and transport captain Jenner Robinson maintains a staff of local, professional, certified courteous guides who know their respective areas intimately. Most people choose to let their hair ‘go natural’ on Dominica, since it’s fairly humid and breezy. If you would like a blow dryer, we have a couple and we would be delighted to put one in your room — just let us know when you reserve. Is there an alarm clock in the room? There are no clocks in the room, in order to facilitate relaxation, but we can put one in the room if you like. Let us know when you reserve. Yes, a small safe is mounted in your room for valuables. There are no televisions at Calibishie Cove, to distract from your immersion in the relaxing natural surroundings. Some guests bring a laptop to watch movies on, and we have board games to loan. Can I do my laundry at Calibishie Cove? Our staff will be happy to launder your things for a nominal fee. We are not aware of any commercial laundromats or laundry services anywhere in Dominica. We are also happy to loan you an iron if you would like one in your room. How far are we from SCUBA diving? What dive shops do we recommend? In our area (Portsmouth), check in with Jorge or Cindy at JC Ocean Adventures (767) 295-0757 or www.jcoceanadventures.com which is the predominant dive shop in the Northeast of Dominica, Jorge or Cindy will take excellent care of you. In Roseau, AlDive has earned positive reviews from our guests. How does the complimentary Dominica cell phone work? We make sure there are enough prepaid minutes (15-20) on the phone that you can call and make arrangements with dive shops, restaurants, and our staff – who are on call for you 24/7 and happy to make calls to restaurants and tour operators for you as well. If there is more time than that on the cell phone, it means the previous guest added prepaid time by going to a local store and paying for minutes. You can also use our free wireless internet to call home with your computer or phone on Skype or Google Voice. If you need to call home and do not have a functioning cell phone of your own, you may add more minutes to your room cell phone, or our staff will gladly let you use our Skype phone for a short call home to to the U.S. (only) to check on things. Still have questions unanswered? Contact us.